What makes a good window to read by? It’s all about light! Sure, you could always flip the switch and go electric, but the best light source is the one coming naturally right through your window: make sure you’re getting enough of it throughout the day (nobody likes eye-strain headaches). 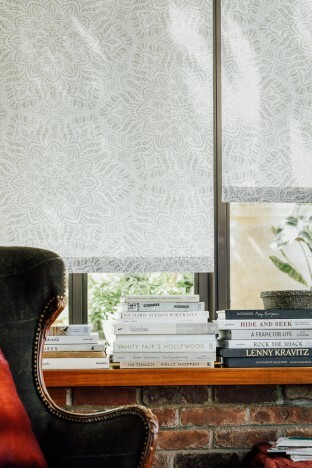 Here are a few window treatment ideas to set the perfect mood for you and your latest page-turner. Solar shades with drapery in Highland. If you’re worried that you are blocking natural light by lowering your shades, you’ll be pleased to know that we have solar shades that will help natural light – even on a cloudy day. Solar shades will provide UV protection while keeping your view intact. During the day you won’t even have to turn on the reading lamp. Light-filtering roller shades in Lotus material. A roller shade made from natural materials, like the Lotus above, is another great way to gently filter light without leaving you in the dark. These organic textures add plenty of visual interest without being busy – so you can concentrate on that twist ending coming up in fifteen pages (spoiler alert). 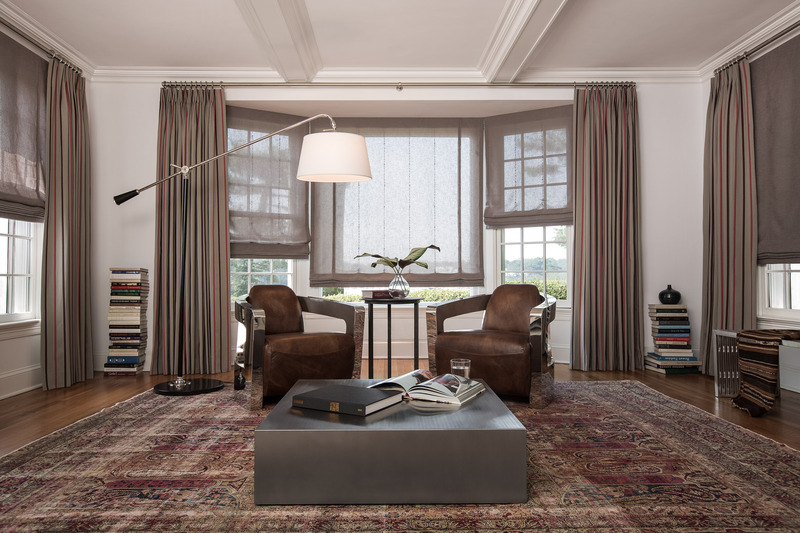 Sheer roman shades layered with tailored pleat drapery. 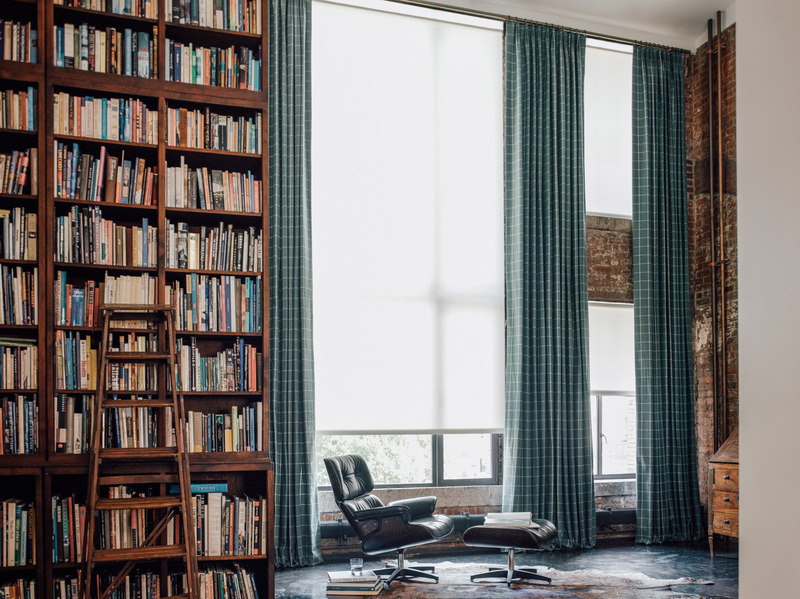 A softer window treatment can be the perfect solution to your reading den. Roman shades bring a cozy vibe to a reading space, especially with an earthy sheer fabric that filters your view. You can match the fabric with other textural elements in your room, such as rugs and upholstery. Head over to our website to browse our exclusive collection of 900+ materials.